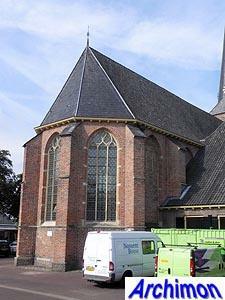 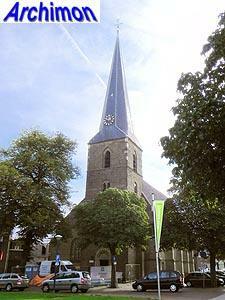 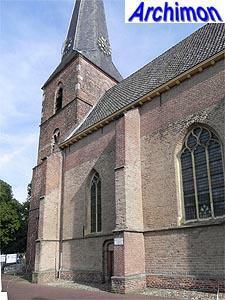 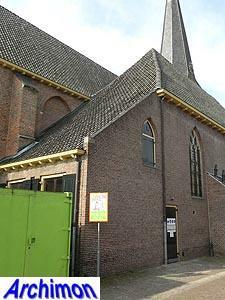 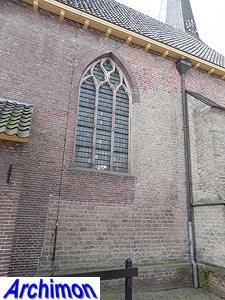 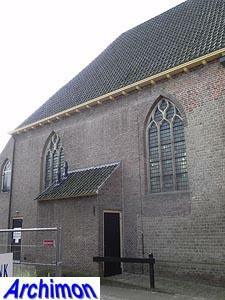 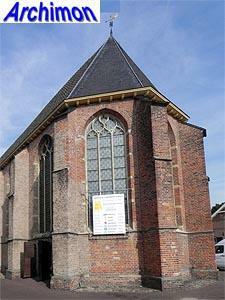 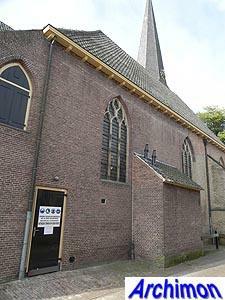 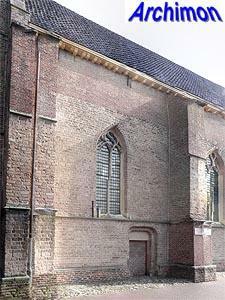 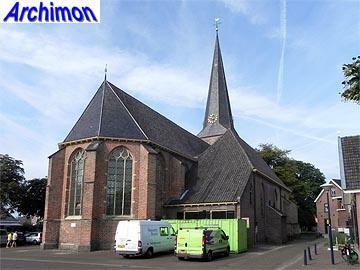 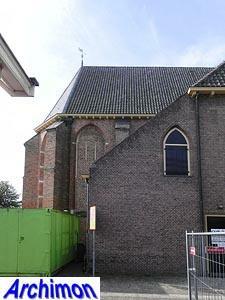 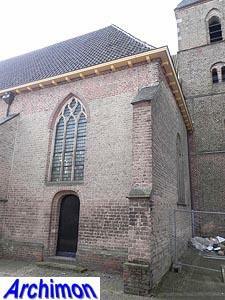 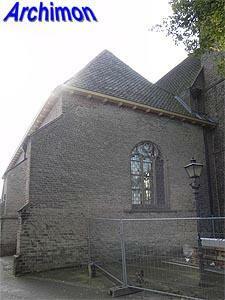 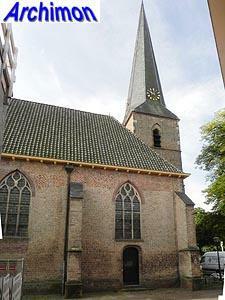 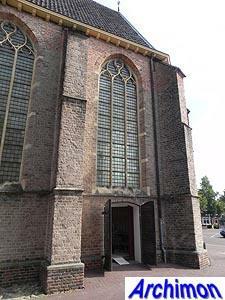 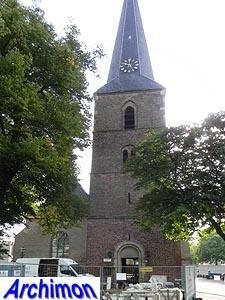 The reformed Dorpskerk (village church) of Vorden was probably built as a one-aisled church in Romanesque style in the early 14th century. 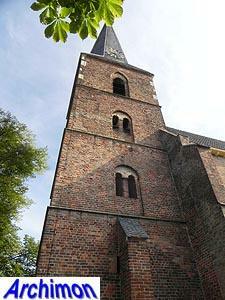 In the second half of that century the tower was built, which was heightened in ca.1500. 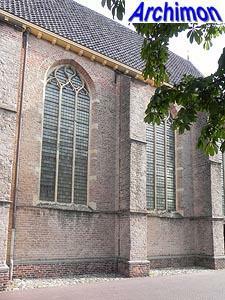 In that period the nave was rebuilt, using parts of the older walls, with the addition of vaults and buttresses, and the Gothic choir was built, followed by a side-aisle at the northern side. 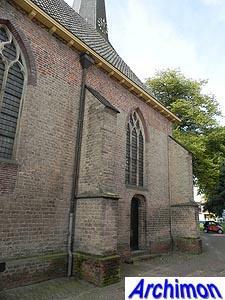 Around 1832 the nave was heightened and brought under one roof with the choir. 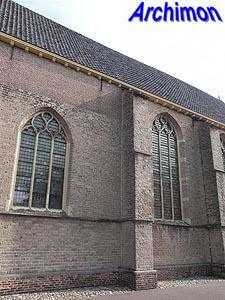 The side-aisle was extended to the east, resulting in the peculiar, almost farm-like roof, while the walls that seperated it from the nave were removed. 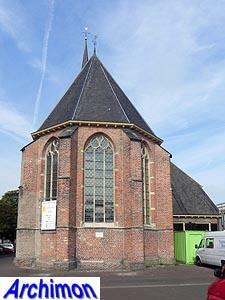 In 1891 a consistory, designed by L.G. 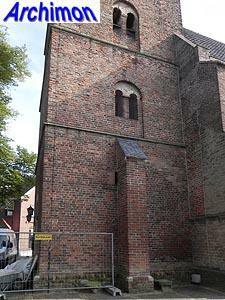 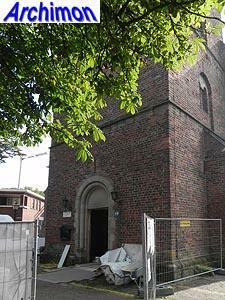 Richter, was added, while a restoration in 1896-1899 gave the tower its Neo-Romanesque portal.